Africa demands a lot of you,” says Jochen Zeitz. “But it’s also a continent with a great fascination, with the allure of adventure, of nature, of all sorts of interesting things.” Today the former top manager works as an ecotourism advocate. His next big project is the Zeitz Museum of Contemporary Art Africa in Cape Town, which is scheduled to open in 2017 and will show contemporary African art from his collection. So why Africa? “I made my first trip to Kenya back in 1989, and the country has had me under its spell ever since. 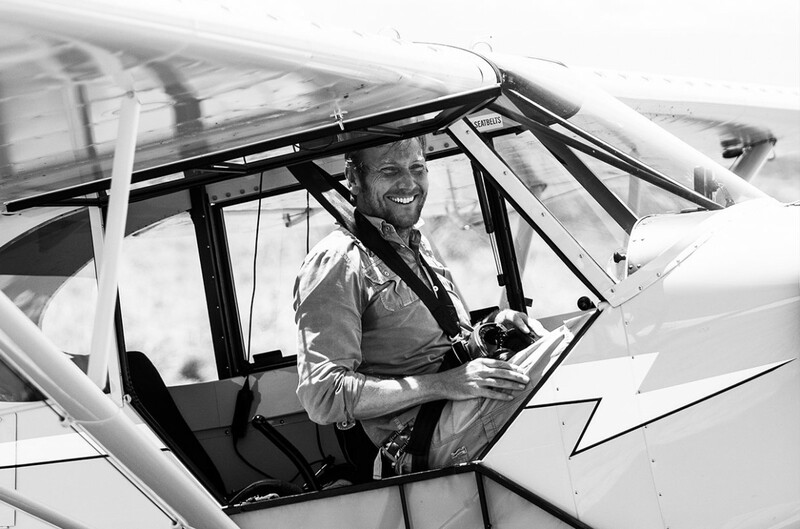 At some point, I decided that I didn’t just want to be a traveler in Africa anymore.” Instead, he wanted to do something for the continent and make it his home. It’s now 13 years since the German businessman from Mannheim bought the land. And it was a good ten years before Zeitz developed the terrain for tourists. But because the 52-year-old always stays true to his philosophy that luxury should never come at the expense of the environment, it took a while to install the systems and technology necessary for combining comfort with sustainability. The eight villas belonging to the Segera Retreat stand in the midst of a botanical garden with spectacular views of the savanna. Right from the start, it was clear to Zeitz that everything had to be powered by solar electricity, from the kitchen appliances and lighting all the way to the hairdryers. The technology, he says, was a major challenge – which is why he brought specialists from Germany and Israel on board. It goes without saying that his resort harvests and recycles rainwater as well, which is used, among other things, for irrigating the botanical garden. Only the cars are powered by conventional technology – and only because electric cars don’t yet have the necessary performance to cope with conditions in the Laikipia region. Zeitz was able to open Segera Retreat in 2013. Besides the natural landscape and the animals, the experience also includes a sculpture garden and artworks from the Zeitz Collection, which is widely regarded as one of the leading collections of art in and from Africa and focuses on contemporary works. Internationally renowned curator Mark Coetzee from Johannesburg supervises changing exhibitions in Segera, put together out of works from the Zeitz Collection, which is growing all the time. Last year alone, at the Biennale in Venice, Zeitz bought the entire Angolan pavilion with photographs by ­Edsson Chagas, as well as various works from the South African pavilion. 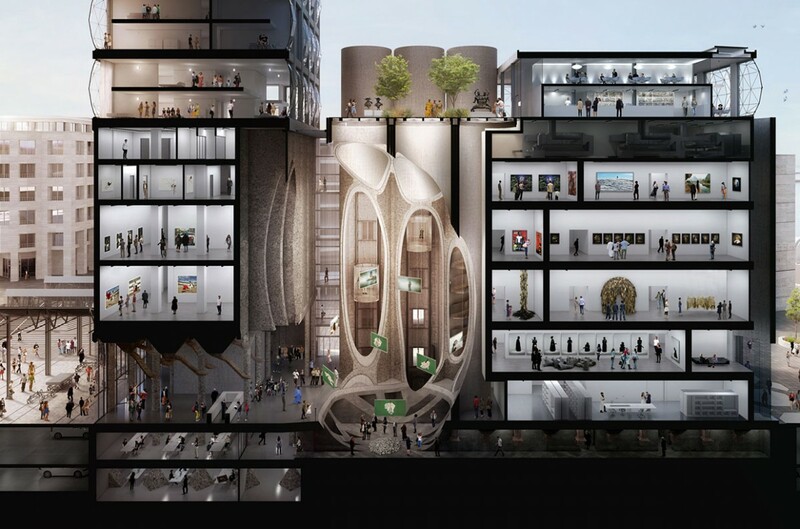 The collection is meanwhile so extensive that the idea for a new project was born: the Zeitz Museum of Contemporary Art Africa (MOCAA) that is currently under construction in Cape Town. Zeitz found a like-minded visionary in architect Thomas Heatherwick. Some consider the Briton the Leonardo da Vinci of our times. He knows no borders between architecture and design and is a master of surprise, coming up with such weird and wonderful ideas as a rolling bridge for London’s Grand Union Canal. He owes his international breakthrough to the Seed Cathedral, the British pavilion he designed for the Shanghai Expo 2010. Now the 46-year-old is converting a grain silo dating back almost 100 years into a fitting setting for Zeitz’s art. The old silo stands at the V&A Waterfront, a popular shopping, dining and entertainment area in Cape Town. The storehouses with the huge, towering concrete tubes were once used to store grain, most of which was shipped to England. Transforming industrial ruins into museums is very much en vogue right now – especially since Herzog & de Meuron converted Bankside Power Station into the Tate Modern in London. But the architectural challenges are considerable. In Cape Town, for instance, none of the tubes is wider than five and a half meters, resulting in correspondingly low levels of daylight. But Heatherwick, an expert when it comes to ingenious solutions, came up with a spectacular concept that preserves the tubes while pragmatically repurposing them. An elliptical shape is to be cut out of the shafts to create space. Bisected tubes are to house glass elevators or spiral staircases connecting the various levels. Heatherwick explains: “We really struggled with the structure of the building, which doesn’t provide a single open space.” Even so, he refrained from completely gutting the silo, preferring instead to preserve as much of its tube structure as possible. Nevertheless, some of the cylinders have been reduced to nothing but their curved exterior walls to create room for more classic exhibition spaces. The complex will also include a hotel, a restaurant on the roof terrace and a sculpture garden, not to mention the magnificent view over Cape Town harbor. 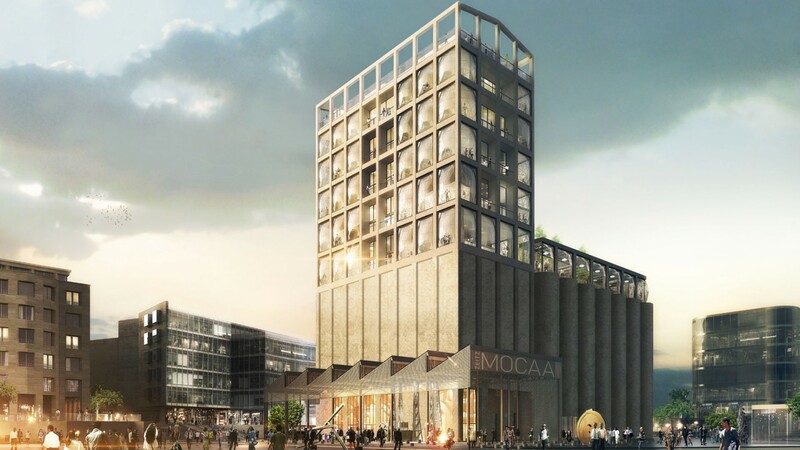 The Zeitz MOCAA will provide approximately 6,000 square meters of exhibition space and serve as a permanent home for Jochen Zeitz’s collection of contemporary African art, which took him just six years to compile. It will be joined by changing exhibitions by African artists. The philanthropist aims to make African art visible to the entire world and create a museum that is every bit the equal of acclaimed institutions like New York’s Guggenheim or the London Tate.